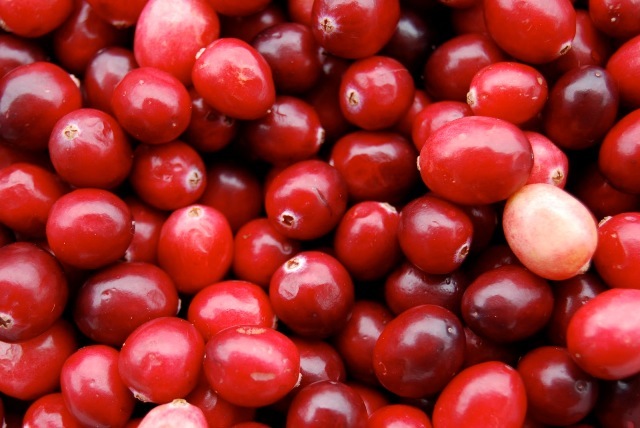 Other names: Small cranberry, plain cranberry. 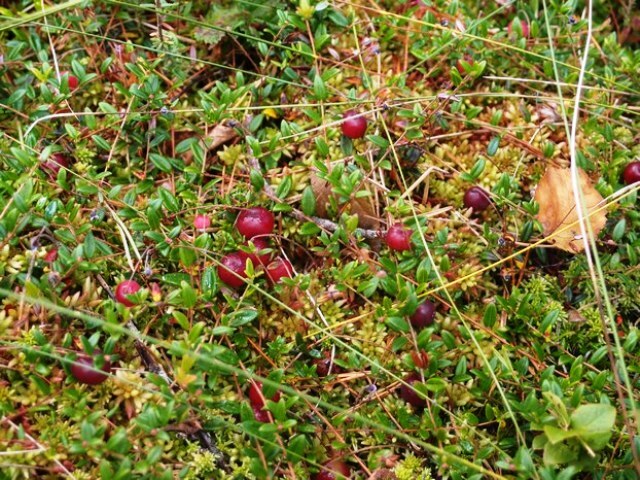 Tranbär is a wild growing fruit from Sweden and is quite wide spread. Besides Sweden, it grows in other parts of Scandinavia too. The fruits are harvested by people from wild and used for various purposes. 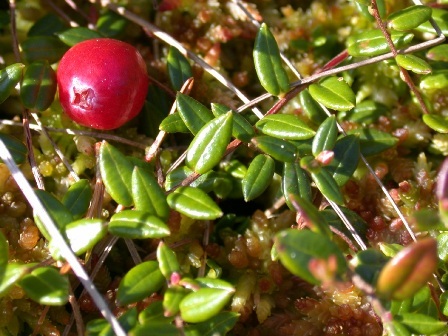 Tranbär resembles a lot the cranberry which is grown in North America. A small, prostrate shrub with vine-like stems that roots at the nodes, shoots 0.1-0.3(-0.5) cm in diameter. Flowers arising on nodding stalks a few centimeters tall, calyx lobes relatively small; corolla strongly reflexed at anthesis, white to deep pink; filaments hairy; anther tubules 2-2.5 mm. ; Inflorescences in axils of leaflike bracts at base of previous year’s or older shoots, (leafy portion often failing to elongate); Pedicels nodding, slender, 2-3 cm, bracteolate or not; bracteoles 1-5, reddish, scalelike, to 1 mm wide. Fruit a deep red berry which has spots when young; It up to 1.2 cm wide, smooth, edible. Tranbär fruits are eaten both raw as well as cooked. These are rated as one of very pleasant tasting wild fruits. Analysis reveal that tranbär fruits are rich in vitamin c. These also have a high pectin content making them very suitable for jam making. A liquor is also prepared from tranbär fruits. A tea is also made from the leaves of this fruit. Tranbär plants are mostly growing in wild. However, observations indicate that they have a preference for moist or wet lime soils rich in peat. Though the plants can grow at any location but the fruiting is better if the plants are getting good sunlight. 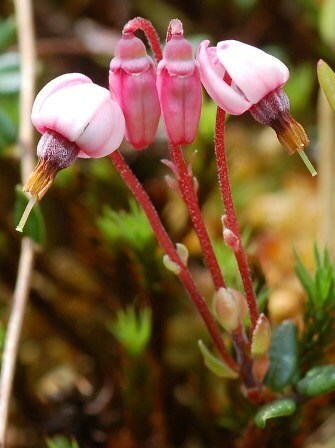 New plants of tranbär can be raised from seed as well as from cuttings. The, however, require moist stratification for 10-12 weeks before sowing.